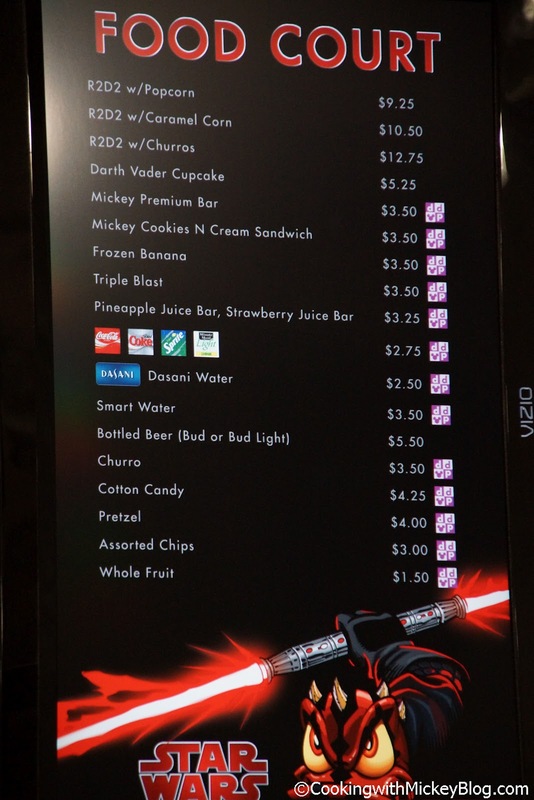 Whether you are a Jedi or Sith, Darth's Maul has everything you are looking for when shopping Star Wars Weekends. If you are picking up collectibles, your galactic name tag or having Ashley Eckstein (voice of Ashoka Tano on Star Wars: The Clone Wars) sign your Her Universe t-shirt you'll be waiting awhile and want a snack or drink. 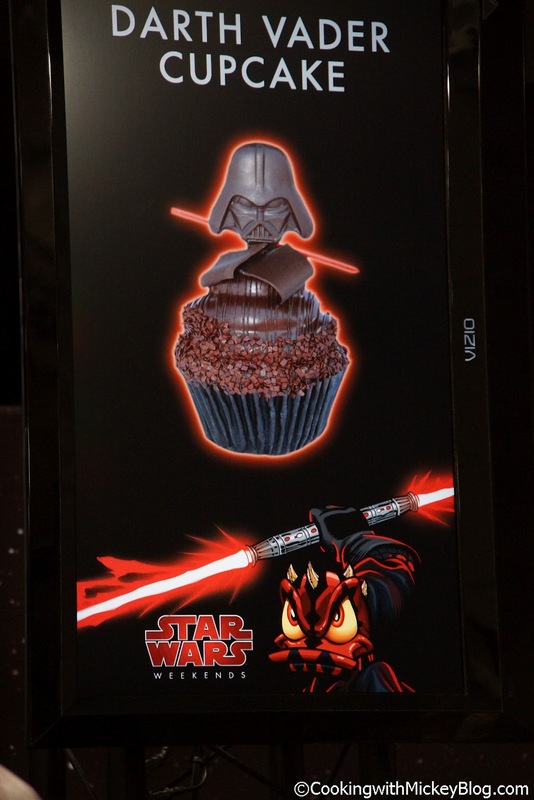 No worries! 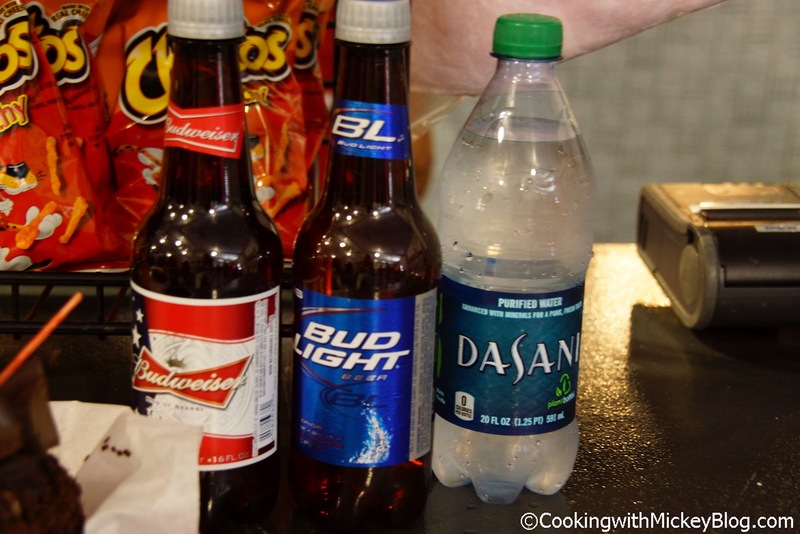 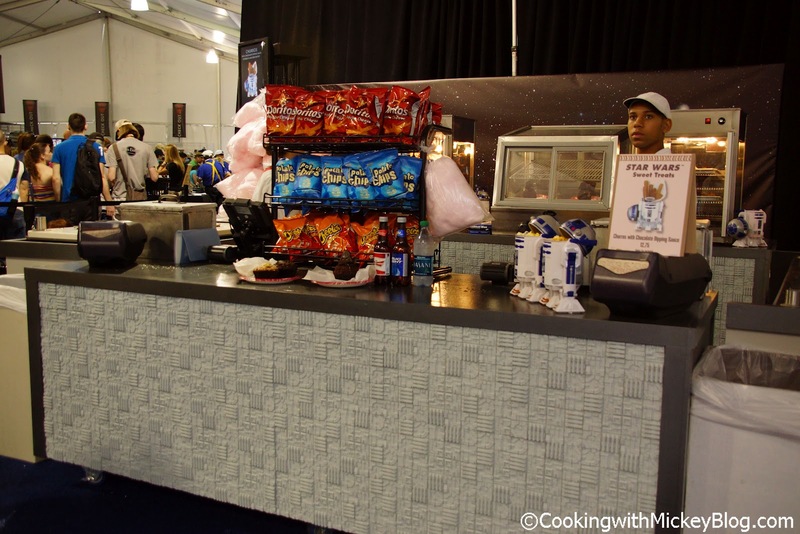 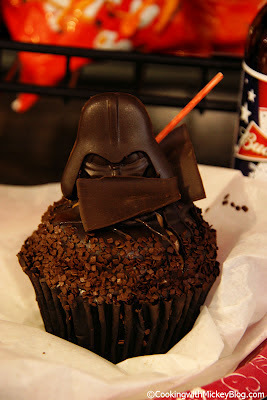 Disney has you covered with the Star Wars Weekends Food Court located inside Darth's Maul. 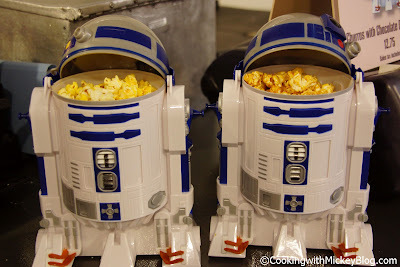 Menu items include R2-D2 bucket with your choice of popcorn, caramel corn or churros; Darth Vader cupcake; Mickey premium bar; Mickey cookies n' cream sandwich; frozen banana; triple blast; pineapple or strawberry juice bar; churro; cotton candy; soft pretzel; whole fruit; assorted chips; assorted baked goods; bottled Bud or Bud Light; and bottled beverages. Other than the Star Wars Weekends Food Court, you can also pick up the Darth Vader cupcakes at ABC Commissary, Backlot Express, Studio Catering Co., Starring Rolls Cafe, and Toy Story Pizza Planet. 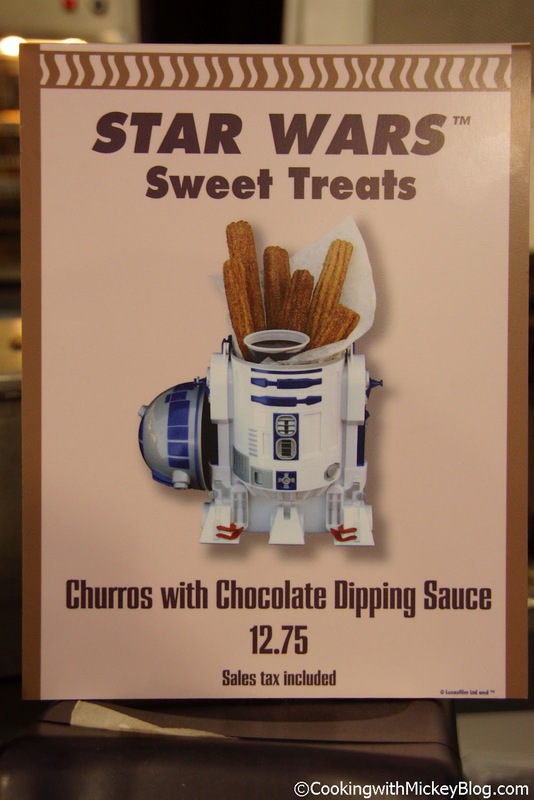 In addition to the Star Wars Food Court, you can pick up the churros with chocolate sauce at Herbies's Card, Fantasmic! 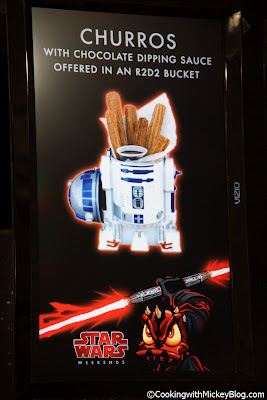 and the cart in front of The Great Movie Ride. If R2D2 is the droid that you are looking for, you can pick him up with more than just churros. 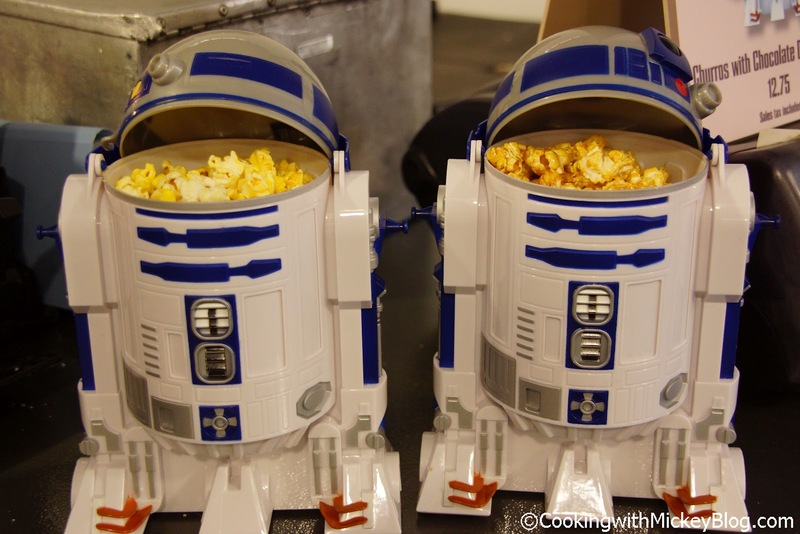 Herbie's Cart offers R2-D2 with a corn dog and chips. 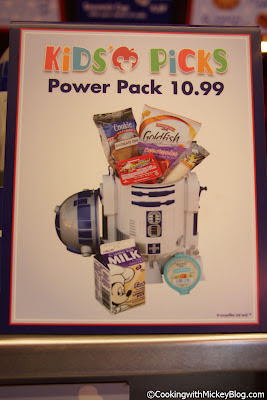 Kids can get the Power Pack served in the droid at ABC Commissary, Backlot Express, Catalina Eddie's, Fairfax Fare, Rosie's All-American Cafe, Studio Catering Co., and Toy Story Pizza Planet. R2-D2 is also available with frozen beverages. 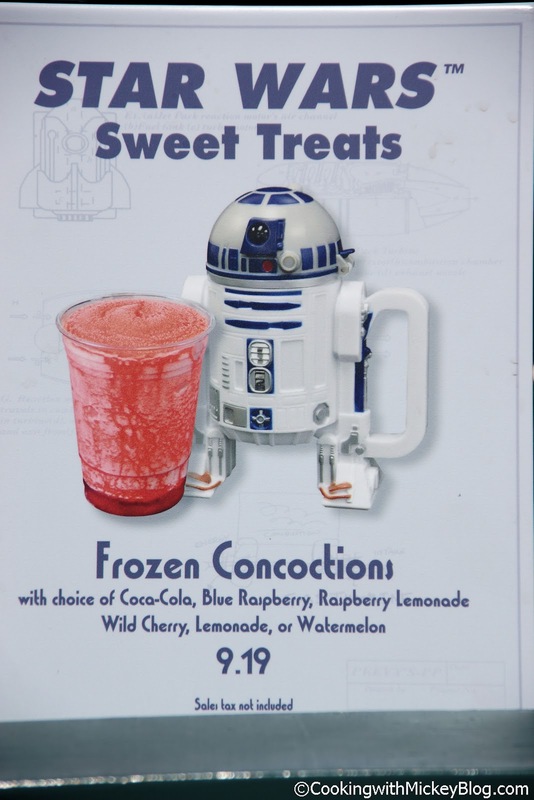 While waiting in line to meet your favorite Star Wars celebrity or character you may want to pick up R2-D2 with a frozen concoction; available with Coke, Blue Raspberry, Raspberry Lemonade, Wild Cherry, Lemonade, or Watermelon. 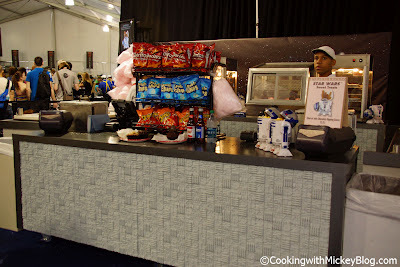 At Min & Bill's Dockside Diner and 50's Prime Time Cafe you can get it filled with a shake and at Sci-Fi Dine-In Theater with a hot fudge sundae.